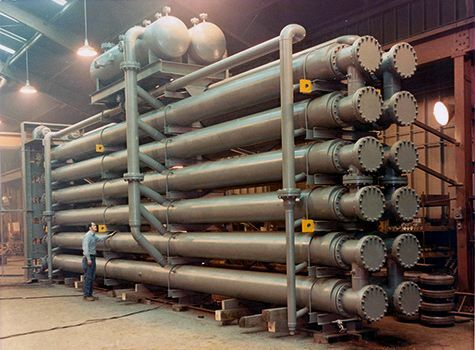 Because of the benefits, scrape surface heat exchangers serve in many different applications. They are used when processing package food, and they are used for industrial refrigerations. They are consistently found in the biotechnology field, as well as within agricultural processing. For more information on how scrape surface heat exchangers can benefit your business, please give our team a call. Scrape surface heat exchangers (SSHE) are used in processes including for high viscosity and fouling fluids and for numerous continuous cooling crystallization processes.